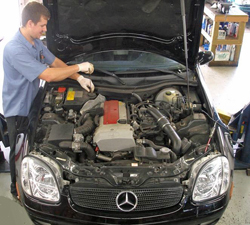 Orr Automotive specializes in the service and repair of Mercedes-Benz automobiles. Our commitment to uncompromising automotive service excellence makes us the perfect partner to help you keep your Mercedes-Benz driving its best. As it is with any vehicle, preventative maintenance is the key to getting the full life out of your car. Keeping up with recommended and required services can not only extend the life of your Mercedes-Benz, but it will also help you maximize its resale value. At Orr Automotive, we treat each customer’s needs individually. Unlike a dealership, we get to know you and your Mercedes-Benz. We keep detailed records of each service or repair performed. Because safety and reliability is our first concern, we tell you if we notice things that need to be taken care of immediately or in the near future. 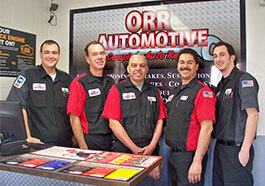 Orr Automotive responds quickly to all emergency repairs. In the event of an emergency, have your car towed (or ask us to come pick it up with our flatbed tow truck) and deliver your car to Orr Automotive. As soon as possible, call to let us know what has happened. We will do our best to get your Mercedes-Benz back on the road as quickly as possible. 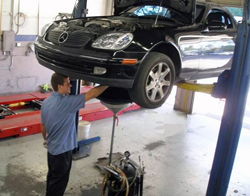 When it comes to servicing your Mercedes Benz, contact Orr Automotive.